I have a friend, Lyree, that I don’t get to live close to anymore. She was a trusted mom resource when I’d just become a mother, and I’ve been following her family with interest since I heard their eldest daughter is expecting their first grandchild. (Thank you, Facebook, for allowing me to share in their joy from miles away!) Her youngest daughter was also my daughter’s very first babysitter. I was happy and surprised to see a new album on Lyree’s page the other day– from her grandmother shower! I’d never heard of one, but love the idea. 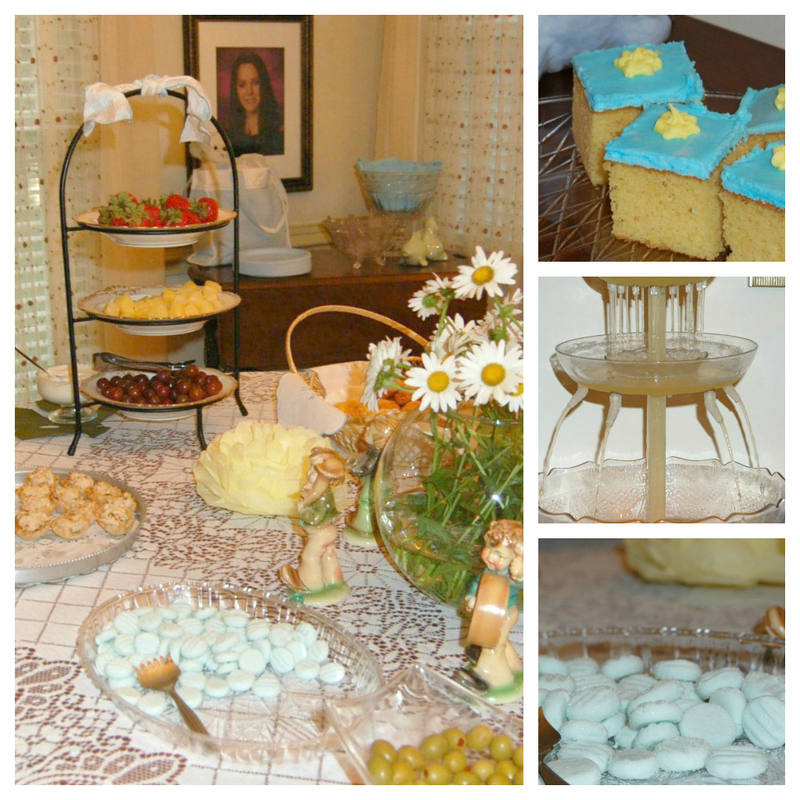 Her friends and co-workers made shower treats and decorated and gave her the sorts of things that are great to have at Grandma’s house. I asked Lyree whether I could share a few photos with you and she agreed. 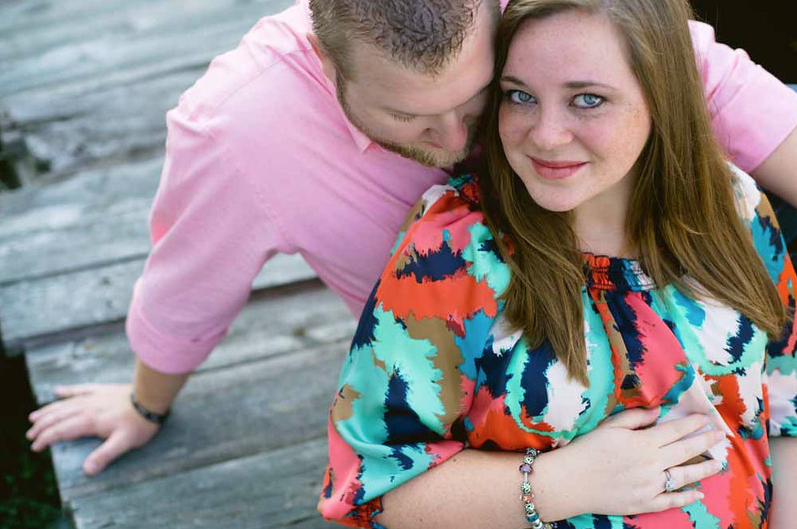 The parents of the child that’s due in September, Rachel and Tyler, live about a 12 hours drive away from grandmother-to-be. I can’t wait to see more of these two as parents. I try not to think about or get attached to the idea of my girls having kids some day– maybe they will and maybe they won’t– but I can’t help but feel a bit of the tug that Lyree must feel, knowing that this new baby will live 12 whole hours away. Her friends and co-workers know how excited Lyree is to be entering this new phase of mothering. SO excited. 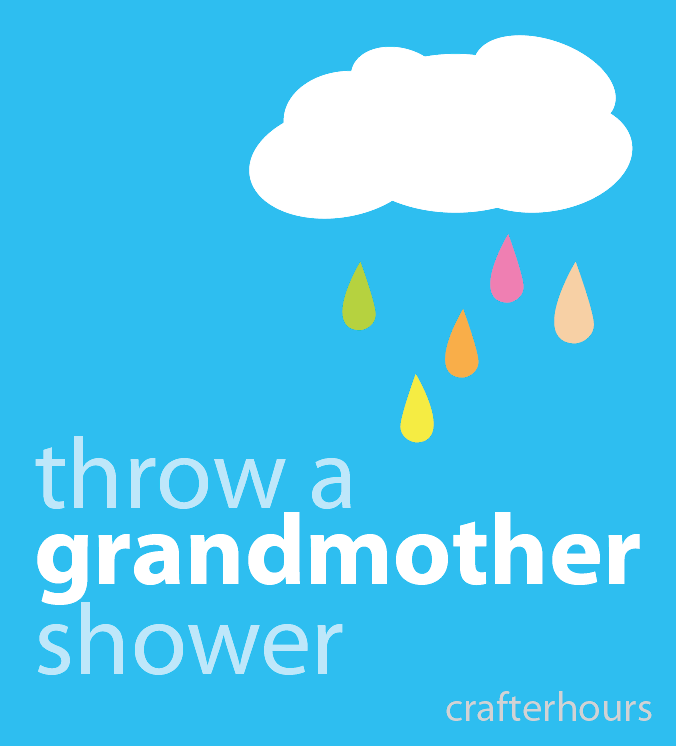 So what does a grandmother shower look like? So glad that Lyree shared these photos! She’s chosen to go by “NanaRee” — so there was a banner celebrating her new grandmother moniker. The shower was held in her supervisor’s home. Might be the nicest supervisor ever, eh? There were gifts! And a friend to keep track of them for thank-you notes. 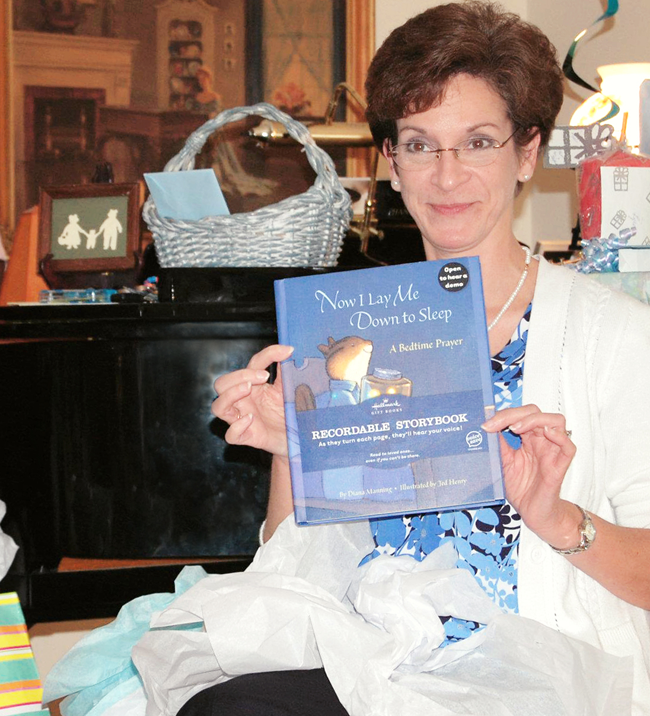 You could certainly celebrate a new grandmother without gifts, but I know Lyree appreciated the thoughtfulness. Said gifts included a recordable storybook. Tangent: when I wrote this post about creating audio books yourself, I thought that was THE answer. But then my girls got two of these recordable books for Christmas, and we both love that they get to hold and read the book and hear familiar, loving voices. Both are great. Do either or both NOW. In the case of capturing your loved ones reading to children, there’s never enough. Other gift ideas for grandmother shower? Changes of clothes– especially ones about how amazing Grandma is, a bathtub, a compact high chair, toys, photo frames, books — lots of the same things you’d give mom. What a sweet and thoughtful group of friends she has, right? They even gave her a grandmother-to-be sash for the party. Since I don’t see her every day, I’m imagining she’s wearing it every day to work, church and the grocery store. She’ll be such an amazing grandmother. I’m so glad her friends helped her celebrate. My fingers are crossed for a safe and smooth delivery for Lyree’s grandson, and I know that she’ll soak up all of the little tiny baby time she can get her arms around! 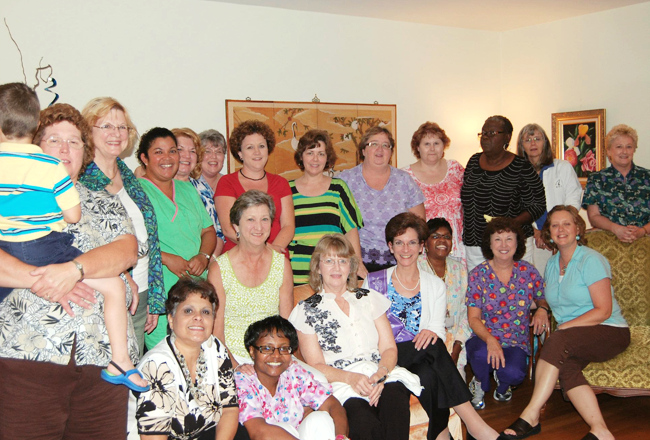 Have you been to a grandmother shower? Adrianna and I were just discussing. Depending on the thrifty resources where you live, a team of friends giving some TLC to gently used items would be lovely, too. Okay, though. Seriously. Have you been to one? Heard of one? I just love the whole idea! As the pregnant mama-to-be, I’d have GLADLY shared the limelight with my mom! How totally sweet!! What a wonderful idea! One never knows what the naysayers will come up with, but I think you could totally do this party without gifts at all. It’s all about taking the time for celebration of the new phase of a (now grand)mother’s life! For sure, you never know whether the kids’ll cooperate! I think it’s a great idea! Grandmas always need extra baby stuff at their place so why not give it to them this way?! Especially in this case, when the baby will be far away from Grandma! I think it’s cute, and why not for when she first becomes a Grandmother? I love this idea. Four coworkers are on the first-time-granny track. At our end-of-the-school-year staff party we presented them with “Grandma Starter Kits”: tote bags with granny gifts that included picture frames, onesies, bibs, lap blankets made from “grandma” and “nana” fleece. The topper was an advice book on How to be an Awesome Grandma. The advice came from our 4th-8th grade students. Grandmahood is an important milestone and needs to be acknowledged and celebrated! What a wonderful idea I would have loved that when I had two grandsons in five months. My mom’s co-workers through her a Grandma shower and it was such a nice gesture She was completely surprised and she was so touched. I highly recommend this as a way to show people how much you share their joy.